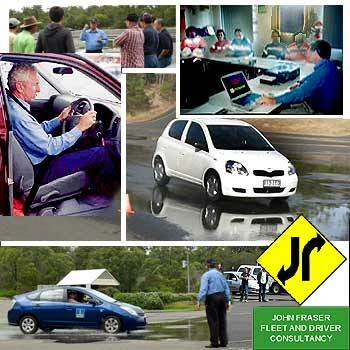 John Fraser Fleet provide a number of Advanced and Defensive Driving Courses, specifically designed to address safety issues and improve driver education. These defensive driver training courses are a wise investment for both older experienced drivers and young drivers. As well as regular passenger vehicle training John Fraser Fleet and Driver Consultancy can also offer two courses specially designed for Four Wheel Drive off road vehicles. •	Important aspects of defensive driving. Required to competently operate a motor vehicle. •	Application of the theoretical components covered in Classroom module two. Upon successful completion of the program a statement of Attainment will be issued. Comprehensive driver training courses are offered to both Corporate and Private Clients who operate 4WD machinery. 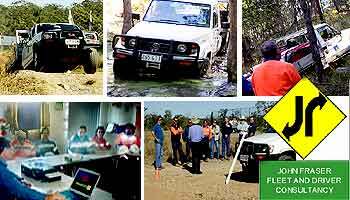 There are two levels of training – one involving many Defensive Driving aspects for those people who mainly use the Blacktop (where over 70% of 4WD damage occurs) and a rigorous dedicated programme which concentrates on all of the “off road” aspects of 4WD operation. This includes: - Both courses are of one day duration and are fully catered. The cost of each programme is identical at $425.00. Fleet discount prices are available according to course numbers.